Plagued by the Privacy Center? 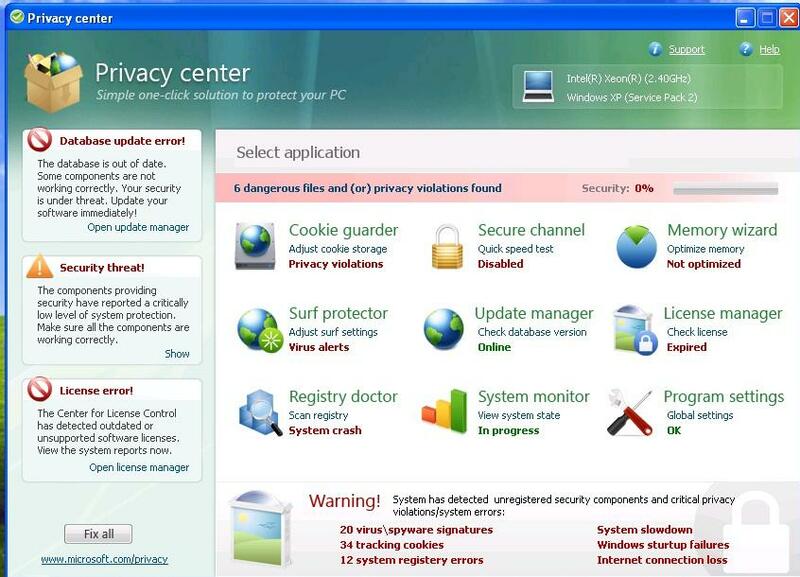 Privacy Center is not Microsoft software. It’s a new form of fake antimalware software (also known as rogue security software) that pretends to help protect your computer, but is really a new form of spyware. It can slow down your computer and damage your files. Trojan:Win32/PrivacyCenter is a family of programs that claims to scan for malware and displays fake warnings of “malicious programs and viruses”. They then inform the user that they need to pay money to register the software in order to remove these non-existent threats. ← How to create custom ringtones for iPhone 3G using iTunes for free?